Thank you so much for your faithful prayers and gifts of support this past month. Your interest in the work here in Ecuador is a great encouragement to us. Cofan village visits/”Jesus” film debut: Thank you for praying! God had a different plan and we had to postpone the “Easter Week” trip to the Cofan’s to show the newly dubbed “Jesus” movie because it didn’t arrive in time. 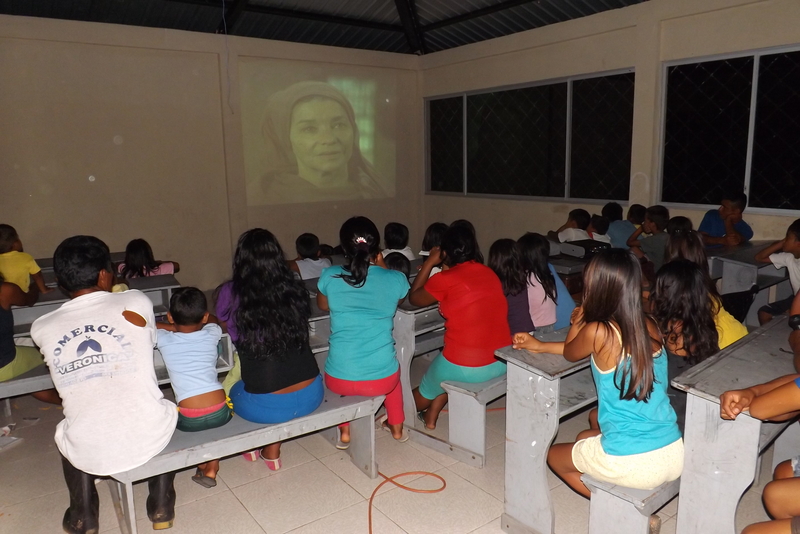 Instead, Ron spent April 28th – May 3rd in Sinangue, Dovuno and Dureno showing it seven times to six village centers. Despite electric outages, and distractions like political meetings and drinking parties, the movie was well received with adults through upper grade school kids paying close attention to the screen. Cofan’s are not people who naturally give a lot of feedback, but Deji one of Dad Borman’s Bible translation helpers, said, “They did a good job.” People left the showings quietly and thoughtfully and we now continue praying and trusting in the work of the Holy Spirit in their hearts. There have been established Cofan churches for years now in Sinangue and Dureno. On this past visit the folks in Dovuno have come to Ron to ask about how they can set up a way to meet for regular Bible teaching. There are a number of professing Christians in the community and we are pleased they see the need for routinely meeting for encouragement and Bible study. No one is Biblically mature enough or desires to lead yet, so pray with us as we seek how the Lord would want us to best nurture and help lead this. We have been praying for years for this community and see this as a very positive direction in answer to prayer. 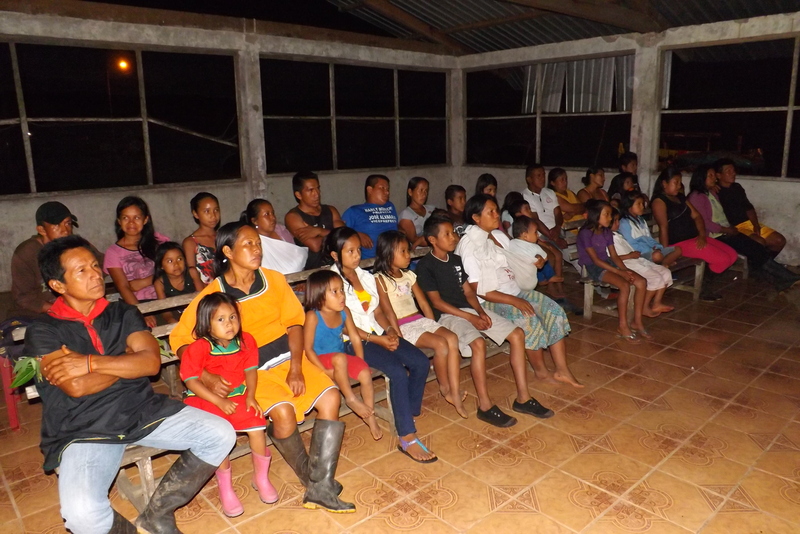 The Dureno Church outreach to Caveno April 26th-27th went well according to the verbal report from Wilson. He said he will write up a more detailed report and be sending it soon. Pray for Marcelo as he is close to finishing the second year of his studies at IBME. A big “thank-you” to those who have sent gifts in for his Bible schooling! His last day of classes for this school year is June 6th. We also have a young man from the village of Dovuno that is interested in attending Bible school next year. Please pray! Other Ministry Opportunities: Ron continues to be involved in a Thursday morning Bible study and is helping with one on Thursday evenings. Esther, Lydia, Isaac and Aaron continue to work with the 3 – 5 year olds Sunday mornings at English Fellowship Church; Julia just finished her last day helping in the nursery and Ethan’s young adult class on Sunday mornings continues. Homeschooling Activities: We are getting ready to wrap up our regular Homeschool Teen Fellowship activities for this school year. It has been a wonderful year of serving these young people and we look forward to starting up again in August. Our group will undergo another time of shrinking with some of the homeschool families leaving Ecuador, and some graduating. We will see what God has for this unique group in the coming months. We have a Homeschool Family Picnic planned for Saturday May 31st. 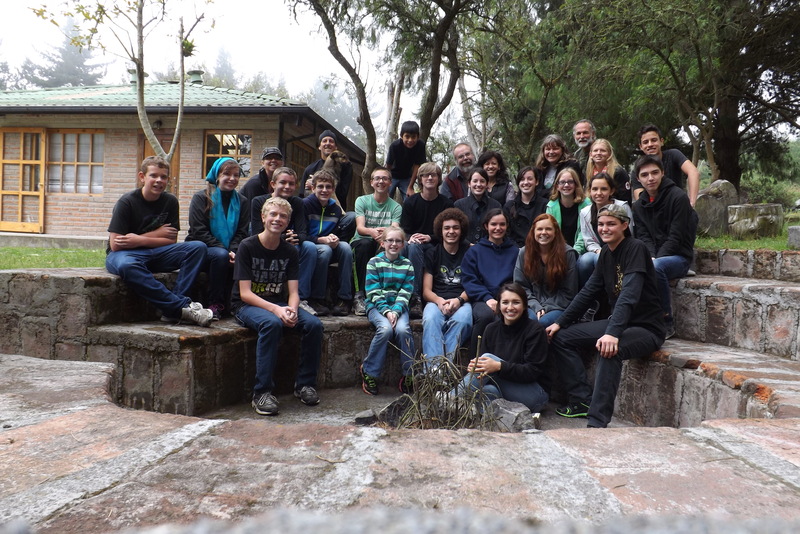 Continue to pray for the Ecuadorian and missionary families involved in our homeschool group. Family: Homeschooling has gone well this year. We are in our last quarter and look towards finishing our studies around mid-May. We are planning a high-school graduation celebration for Julia on May 18th here at our home in San Antonio. Thanks for praying for our family and homeschooled students Julia, Isaac and Aaron. Pray as Esther prepares for homeschooling over the summer and as we welcome Andy Rogers to join our youngest son Aaron in 9th grade here in our home. We will continue to have three students! Pray for Julia as she finishes her homeschool studies and heads up to the States for the summer to work. She is planning to attend Emmaus Bible College in Dubuque, IA this fall. We are wishing so much we could all be there, but Ethan, Julia and Sarah are very much looking forward to attending their cousin Rachelle’s wedding on May 31st!!! Pray for safe travels for them the end of May. So great to be able to read instantly what is going on with you service and family in Ecuador! It is still a prayer of mine to come for a visit. Just don’t know when I will be able to do it.